Straight from the foot-in-mouth department: Dell Australia managing director Joe Kremer has reportedly questioned the ability for Apple’s iPad to stand its ground in professional environments, because enterprise users demand more. Say what? “People might be attracted to some of these shiny devices but technology departments can’t afford to support them. Dell, in case you’re wondering, is the company that tried to run the race with the Streak 5 and 7, both of which have been discontinued. They offer some Android and Windows 7 tablets that you’ve likely never heard of – even Michael Dell doesn’t believe Android tablets will ever be able to challenge the iPad. It’s also the company that stopped making netbooks and killed off its smartphone offerings in the US. But fear not, folks, Dell aims to finally crack the iPad nut with a ‘business-friendly’ Windows 8 tablet that will hit the market … well at some point this decade. At some price point, with some specs. Much like all the other vendors. While Apple is rumored to be working on a 7-inch iPad that will likely launch before year’s end. While Microsoft is readying the debut of its Office series of products for the iPad. Meanwhile, Apple generated almost twice as much revenue in its last fiscal quarter ($39.2 billion) than Dell’s entire market capitalization ($21.2 billion). The Cupertino computer giant sold almost 12 million iPads in the quarter alone. 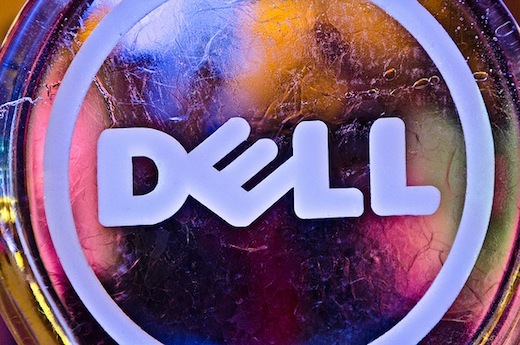 Dell’s outlook for next quarter? Weak. As in: not shiny at all. Read next: LinkedIn updates iOS app following data transmission concerns, but insists: "It's a great feature."